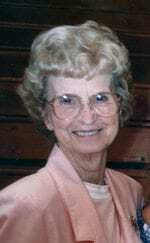 Frances E. Griffeth, 92, of Dawsonville passed away Wednesday June 13, 2018 following a period of declining health. Born May 24, 1926 in Jackson County to the late Boyd and Lillie Waddell, she had lived in Dawson County since 2002 having moved from Athens. Mrs. Griffeth was a homemaker who possessed a deep devotion to her family. She was of the Baptist faith. Mrs. Griffeth was also preceded in death by her husband, A. B. Griffeth; son, Jimmy Baxter; and six sisters and brothers. Surviving are her daughter, Shirley Dyer, Dawsonville; son and daughter in law, Dennis and Lisa Griffeth, Jefferson; grandchildren, Chris and Virginia Baxter, Keena and Russell Burt, Michael Griffeth, Brad Griffeth, Andrew Leard, Emily Griffeth; and great grandchildren, Kaila Burt, Hunter Burt, Avery Leard. Funeral services will be held Thursday June 14, 2018 at 7 p.m. at Bearden Funeral Home Chapel. Rev. Russell Burt will officiate. The family will receive friends Thursday from 4:30 until 7. Condolences may be expressed at www.beardenfuneralhome.com. Bearden Funeral Home, Dawsonville, GA.